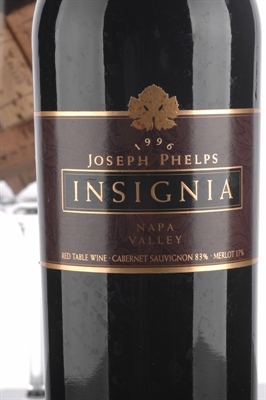 Joseph Phelps' flagship wine is their fabulous Insignia, a wine with a tremendous track record back to the debut vintage of 1974. Joseph Phelps' flagship wine is their fabulous Insignia, a wine with a tremendous track record back to the debut vintage of 1974. It is produced in significant quantities (18,000-20,000 cases) for a wine of such quality. A great achievement, the 1998 Insignia (78% Cabernet Sauvignon and 22% Merlot) is a fabulous wine from what was a far more challenging vintage. Approximately 18,000 cases were made, an amazing quantity in a year that produced far less promising raw materials. Evolved, with a saturated ruby/purple color, it possesses a sumptuous bouquet of smoke, cedar, licorice, and cassis. This full-bodied, fat, succulent effort reveals admirable purity and symmetry, and a soft finish with remarkably deep flavors that caress the palate. It can be drunk now as well as over the next 15-16 years.